Welcome back to our garage door opener security blog. Door Doctor is passionate about the safety of the people of Cape Coral, thus, we are totally prepared to help you make your garage door opener safer, and less vulnerable to attempted burglaries. If you’re concerned about the safety of your home because of your garage door opener, we are happy to provide you with a variety of strategies that will render it impossible to break into your house in this manner. We mentioned some more simplistic tactics in our last blog. In this blog, we’ll continue the list with various upgrades and other tactics you can try to ensure your year round security stays as consistent as your hard working opener itself. In our previous blog, we mentioned a specific way that burglars could access your home would be through activating the emergency lever and then manually opening the door. They could disengage the lever by tugging on it with a wire hanger from the outside. However, if there is no way for the burglar to see inside the garage, they won’t be able to pull off this little trick. All you have to do to remove any way for them to see inside is to cover the windows on your garage door if they have any. 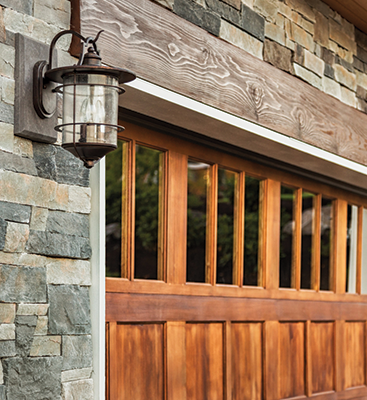 If you’re more concerned with nighttime break-ins, you could try installing light sensors over your garage. Motion light sensors will light up whenever it senses movement nearby. By setting them up over your garage, you’ll highlight anyone who’s sneaking around who isn’t supposed to be there. However, they’re also great for lighting up the driveway upon arriving home from a late night walk, or something to that effect, while they’re great for preventing burglary, there’s nothing wrong with a little extra light around your house at night. You won’t find many burglars that are especially accustomed to doing their work in the middle of a neighborhood under a spotlight. One of the simplest solutions that most people don’t consider until after something bad happens, is that you could just install a lock for your garage door. If the door leading into your house is locked, especially with something heavy like a deadbolt, that burglary job is going to suddenly get much more difficult to complete. 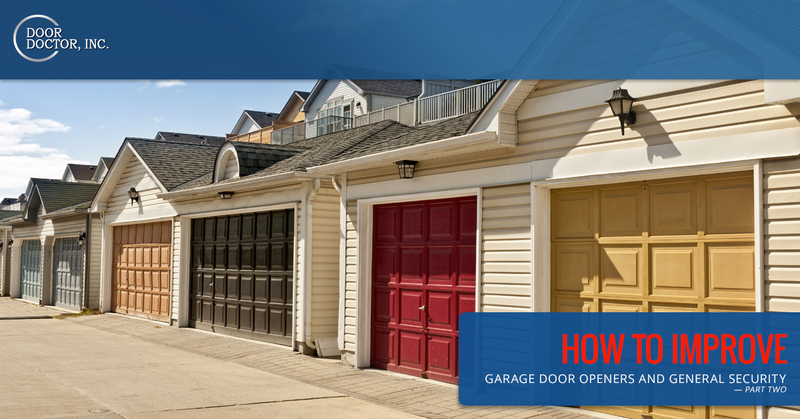 Don’t assume that the garage door itself provides all the security you need. The bottom line is, that is an exterior door and you should treat it in the same manner as all exterior doors. If you’ve invested in a remote-controlled garage door opener, then you’ll have to keep the remote safe. While installing a deadbolt to the door that leads out of your garage is a great security measure, it’s not going to deter a thief that only had to push a button to get in through the garage itself. If you leave your remote in the car, you probably place it on the sun visor, and that’s by far the most dangerous place you could put it. If you leave it on the visor, it’s an open invitation for someone to break into your house. The best way to alleviate this worry is to leave the clip on remote in the house, and invest in a keychain remote that you can hang on your keys. It’ll be just as easily reached when you get home, and it won’t be as tempting to the nefarious intents of other people. If you’re interested in hunting down the keychain alternative for your garage door opener, contact Door Doctor. 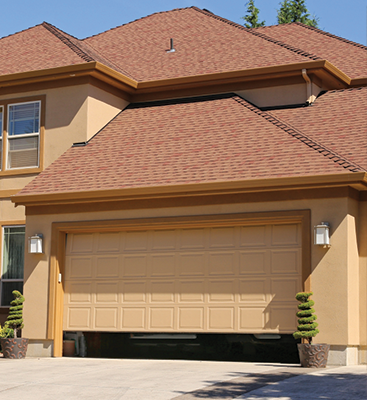 We offer several different remote and keypad garage door options for you to take advantage of. If you’re especially concerned about burglary still, there’s always the big card you can play: turn of the power. 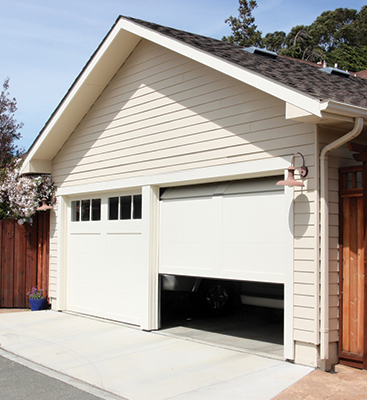 Your garage door opener is like every other modern appliance in your house in that it operates on electricity. If you turn off that electricity, it won’t work anymore. If you’re concerned about the safety of your house at night or when you’re heading out of town, just cut the power off. You don’t even have to turn the power off to the rest of the house, just unplug the garage door opener or flip the switch. You can then lock the garage door manually from the outside, and it’ll stay locked until you return home. If you’re concerned with the security of your garage door opener, contact Door Doctor. We offer many different varieties of garage door opener and can ever repair your current one and discuss tactics that would work for your model and how we can improve your security together. We care about the continued safety of our Cape Coral customers, so reach out with your concerns, we’re happy to help.